Hayao Miyazaki to return to feature film directing? Hayao Miyazaki has hinted he will make a return to feature filmmaking. The 75-year-old Studio Ghibli co-founder previously announced his retirement from feature films in September 2013 after the summer release of his last feature, 'The Wind Rises', but has now stated that he wants to keep working until he "dies in the middle" of making a movie. The highly decorated animation director - who took home an Academy Honorary Award at the Governors Awards ceremony in 2014 - has created a short film entitled 'Boro the Caterpillar' for the Studio Ghibli museum in Tokyo, and has reportedly held discussions about creating a full length version with veteran Ghibli producer Toshio Suzuki. Speaking to Japanese broadcasting channel NHK, the 'Spirited Away' director said: "I haven't said anything to my wife yet. When I do, though, I'm ready die in the middle (of production)." Toshio, 68, backed up Hayao's statements, saying that the animation studio - who are responsible for a number of heartfelt animated movies such as 'My Neighbour Totoro' and 'Howl's Moving Castle' - would continue to be a home for the director. 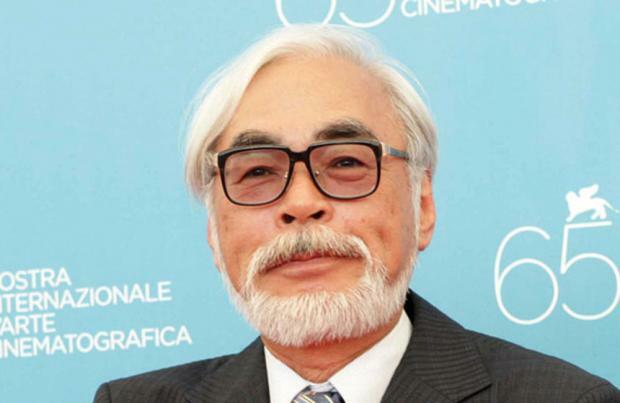 He added: "Miyazaki is a person who will keep making films until he dies. Ghibli will continue as long as Miyazaki continues to make films." If the 'Kiki's Delivery Service' director does decide to come out of retirement for one last project, it wouldn't be the first time he's failed and keeping himself out of work. The director previously claimed he would be retiring in 1998 after declaring that 'Princess Mononoke' would be his last feature, and has gone on to create a further six films in 18 years. 'Boro the Caterpillar' has not yet been greenlit, and if the studio continue at their current pace, the feature can be expected in 2021.